Cue sales staff. Grow business. For as long as there have been corporations, there have been corporate events. Over 1.8 million were held in 2012 with 225 million people attending, according to the most recent study by PriceWaterhouseCoopers on behalf of the Convention Industry Council. And as the number of corporate events has grown, so too has an overriding focus on performance. Despite changing business environments and the emergence of more marketing channels and technologies, many companies face challenges and questions on how to improve their event performance. Take a look at the first-ever benchmark study to quantify event marketers’ expectations for corporate events, the key measures of event success and best practices for achieving it. 400 event professionals gave their insight into how they measure contribution to the sales funnel, best practices for achieving it, and expectations for corporate events. To download your free copy of event ROI click HERE. 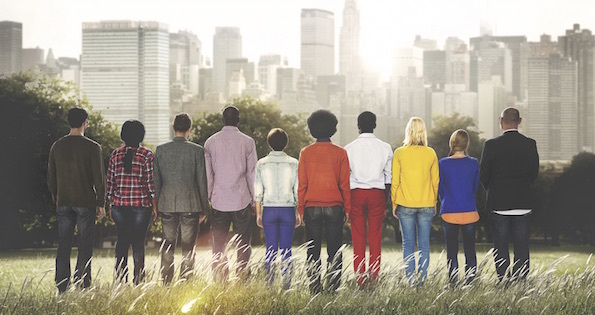 Millennials – every marketers favourite group. Whether you love or hate the name, the fact remains that you need this target group. These people aren’t just a theoretical demographic anymore, they’re actually here – living, working and breathing right beside you. There are so many different interpretations on the term, but this is the one we hang my hat on: they’re now in their 30’s, middle management professionals, decision makers and budget holders. The most important thing to remember is that they’re also the CEO of tomorrow and you need to win them over to your event brand now before it’s too late. Millennials demand more from their event experience and also want everything to be instantly available. While they are powerful influencers, they also rely on each other, seeking advice from friends to make more informed decisions and are much more likely to attend an event if they can do so with their peers. But what can you do now to make sure your event is millennial ready? Working with Event Insight, Blitz/GES identified 7 ways you can use event technology to make accessing millennials easier. These are Speed, Personalisation, Gamification, Tone, Bite-sizing, Visual Learning and Convenience. 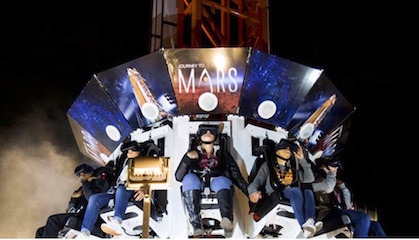 Riders not only learn real information about NASA’s exploration of deep space through a manipulative VR environment and voice narrative, they experience the thrill of the journey through the fusion of sensory immersion and literal negative gravity drop – it’s exhilarating to say the least. Another recent example comes from Samsung, who at this year’s Consumer Electronics Show showcased a number of VR 2.0 experiences, including a speedboat race, a stunt plane ride and a face-first Olympic skeleton ride down a frozen track. Each of these experiences utilized not only VR headsets for the visual and auditory components, but also physical motion making the experience that much more visceral for the attendee. The maturing of virtual reality and its use in live events and experiential marketing is just one of 50 trends showcased in GES’ new 2017 Trend Tracker guide. Download your copy today – and when you’re ready to start planning your next event, give us a call… we’ll help you make it out of this world.